This summer San Antonio will host the annual conference for the Romance Writers of America , July 23 – 26. 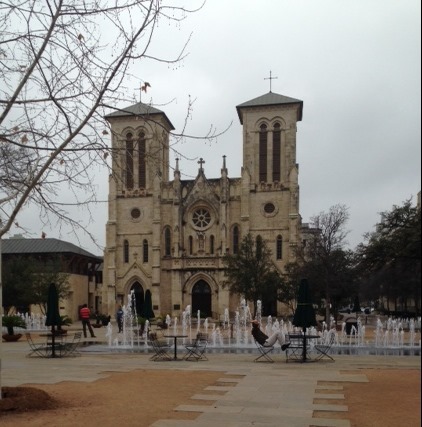 Sadly, I won’t be going this year, but at least I can say I’ve been to San Antonio. Here are some photos of our trip… I hope you like. 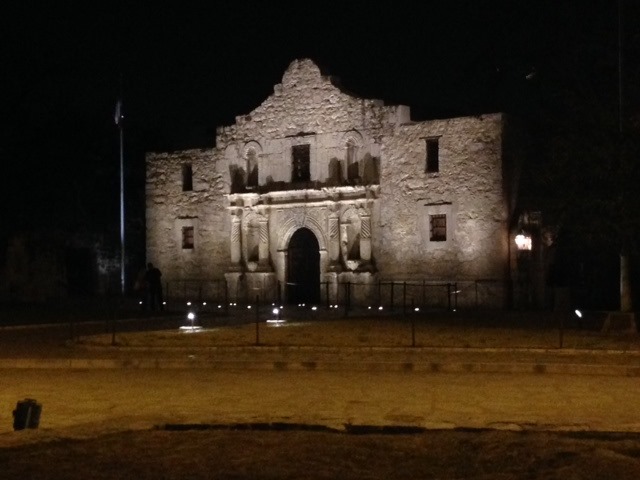 We visited the Alamo on the afternoon we arrived. The architectural details, exhibits about the battle and the fort itself were very interesting. Take for instance this iron gate, which is kinda like a door. The Alamo at night… After dinner at Rosario’s (voted one of the best Mexican restaurants in the city), we strolled along the Riverwalk and back over to Alamo Plaza to capture it’s beauty at night. The next morning, after breakfast in the hotel, we discovered more of the Riverwalk and downtown. As we ascended the stairs leading to the peaceful and serene piazza pictured above, I felt like I had walked into Italy. 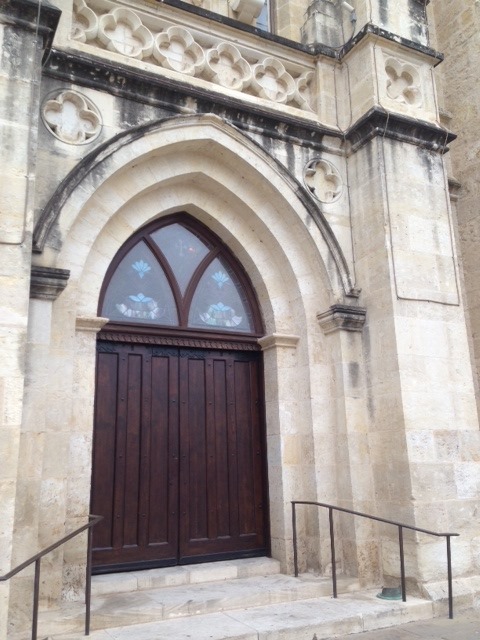 This church is the Cathedral of San Fernando, where just inside the door to the left, is a tomb containing the remains of Alamo heroes – Davy Crockett, William B. Travis and David Bowie. This is a photo of the River Walk in the late afternoon. 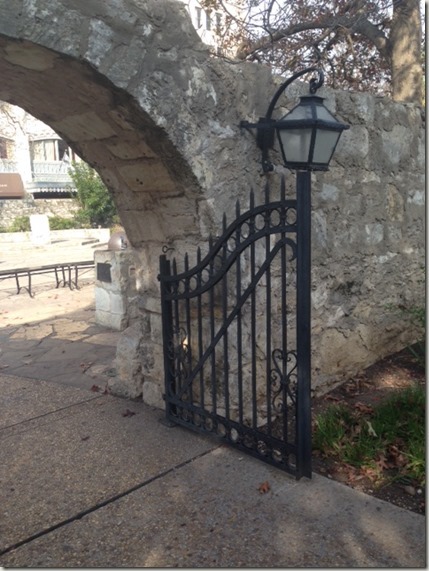 Although the photo kind of reminds me of the Seine, San Antonio’s River Walk is NOTHING like Paris. Not in a bad way – it’s just different in a touristy way. The path along the river is extremely narrow and it wouldn’t be surprising to hear that more than a couple drunk people have to be fished out of there on any given Friday or Saturday night. 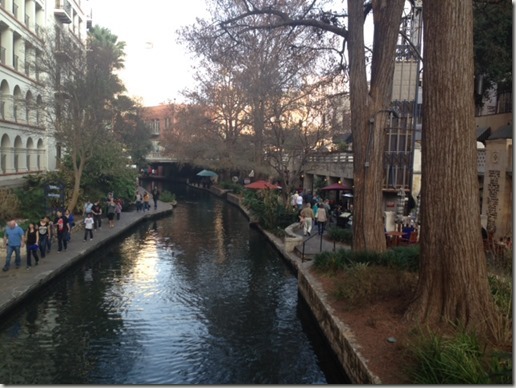 However, it’s a cool concept and I think we need a Riverwalk in my town! !